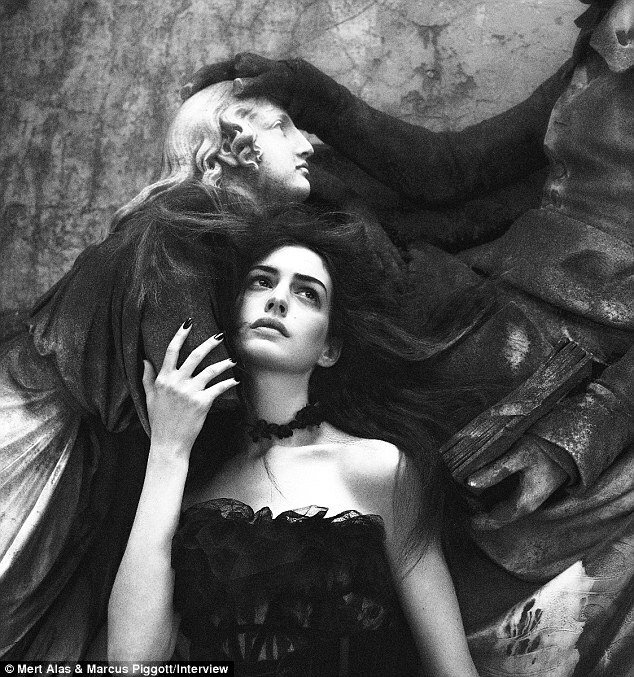 Anne Hathaway graces the cover of the September edition of Interview Magazine looking beautifully ethereal and gothic – take a look!! “I actually had this moment when I convinced one of the assistant directors on the London portion of the film to get a cat with me, the idea being that we were going to get a kitten from a rescue shelter, and he was going to live with me, and I was going to observe it . . .her husband pointed out that that was a terrible idea on so many levels, not least of which being that it would probably be really confusing to the cat. So I turned to YouTube instead and got a National Geographic video on cats,” said Hathaway. Get a copy to find out why she also feels connected to Snooki, JWow and The Situation from Jersey Shore! !